THIS VENUE IS NOW CLOSED FOR BUSINESS. The third restaurant from executive chef Vivek Singh, the man behind Cinnamon Club and Cinnamon Kitchen, Cinnamon Soho sees him depart from fine dining to focus on comfort food classics and sharing plates. Combining modern Indian fare with a nod to British favourites, the all-day menu includes dishes such as chargrilled rump of Kentish lamb with saffron sauce, roganjosh shepherd's pie, and vindaloo of ox cheek. Plus, a range of Indian-inspired balls, including the infamous Bangla Scotch egg, and a selection of gourmet toasties, with fillings such as Kadhai spice crab and south Indian spiced potato. Desserts include sticky ginger toffee pudding with banana ice cream, chocolate parfait with salted peanuts, and yogurt and lime cheesecake with tamarind strawberries. 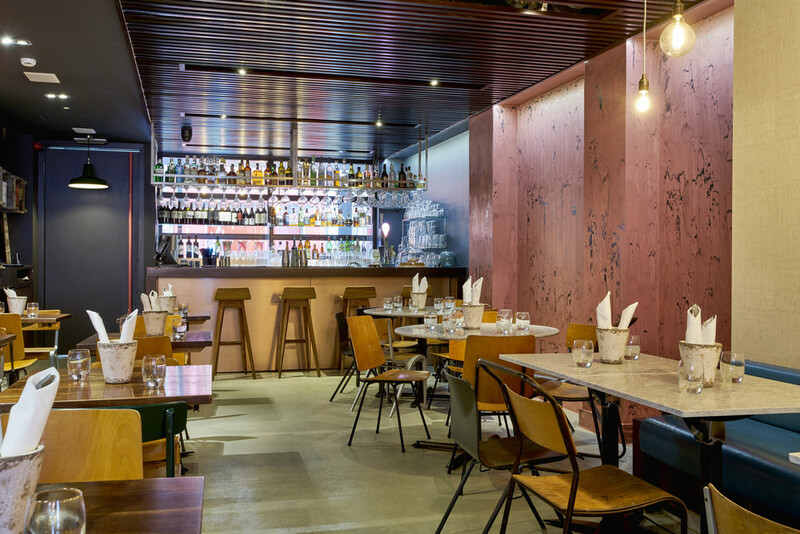 Spread across two floors, the modern restaurant sticks to the sophisticated style of Singh's other venues while extra touches such as neon signs by Darren West and strips of neon-orange lighting give it a sleek Soho twist. Cinnamon Soho gyms, sporting activities, health & beauty and fitness. The best pubs near London Cinnamon Soho. Cinnamon Soho clubs, bars, cabaret nights, casinos and interesting nightlife. Where to have your meeting, conference, exhibition, private dining or training course near Cinnamon Soho. From cheap budget accommodation to luxury 5 star hotels see our deals for Cinnamon Soho hotels, including No 5 Maddox Street London from 75% off.